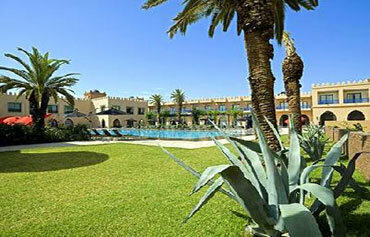 Holidays to Morocco are very popular with couples. Holidays in Morocco are exotic and colourful. This North African nation is less than four hours away from the UK, but it feels like another world. Relax on golden beaches, discover beautiful buildings and haggle for bargains in a bustling souk. For a unique city break, book a traditional riad in the Medina of Marrakech. Learn to surf, go horse riding or simply chill out in seaside Agadir. Beach bums, families, adrenalin junkies, romantics and culture vultures can all find a perfect holiday in Morocco. Marrakech offers a taste of authentic Morocco, whilst purpose-built Agadir has more modern architecture and attractions. With its warm climate and mild winters, it's easy to see why holidays in Morocco are a popular choice all year round. Tucked away in the heart of the city of Marrakech, you will find the luxurious Hotel Meriem. This 4 star hotel is a haven of peace and relaxation and boasts abundant facilities onsite. Experience authentic Marrakech with a stay at the Riad Barroko at the heart of the Medina. This traditional riad offers comfortable accommodation and all the facilities needed for relaxing holidays to Marrakech. If you fancy hitting the pause button in style, why not take a look at the magical Adam Park Hotel & Spa in Marrakech? This 5 star luxury hotel boasts a relaxing vibe for adults and plenty to keep the kids entertained too. 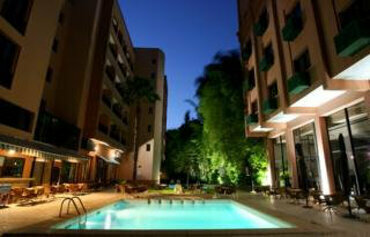 Everything at the Amine Hotel is geared towards relaxing holidays in Marrakech. Located at the entrance to the city, this 4 star hotel is set in flower filled gardens and is jam packed with facilities for all ages. Set in ten acres of lush green parkland awash with azure pools, holidays at the Aqua Fun Club Hotel are all about waterbased fun in the sun. Add in quality accommodation, tasty dining and abundant onsite facilities and you have the recipe for great family holidays in Morocco. Morocco's weather is one of its main attractions. The country's location in North Africa means very hot summers, with temperatures often peaking in the mid thirties. The winters are milder – and a great time to visit if you want to sightsee or explore. Temperatures in the winter months still peak in the twenties, but the evenings are cool. The rainiest months are October to April, with virtually no rainfall in July and August. Holidays in Morocco can be as relaxing or as active as you like. 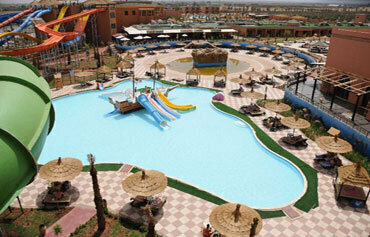 In beach resorts like Agadir water sports including surfing and boat trips are popular. Inland, explore vibrant souks (markets), olive groves and waterfalls. In Marrakech, shop for pretty lanterns, jewellery, spices and bright leather goods. Don't miss local traditions like camel rides and belly dancing shows. Explore desert landscapes and the stunning Atlas Mountains on foot or by 4x4. Visit Essaouira, a former Portuguese port with a thriving art scene. Treat yourself to a spa treatment in a traditional hamman. In Marrakech, the main square of Jemaa el Fna comes alive after dark; with live music, snake charmers and dancers. Enjoy a relaxing drink one of the city's many rooftop terraces, or head to the worldfamous Pacha nightclub. Religion and tradition prevent alcohol consumption in the Medina, but it's possible to buy it in hotels and clubs. In Agadir, you'll find a good choice of bars and pubs and Djs playing at the Papa Gayo nightclub. Traditional Moroccan cuisine includes delicious tagines and cous cous cooked in local spices. Agadir offers a good choice of international and fast food restaurants, whilst Marrakech is home to more Moroccan cafs and street stalls. Alcohol is readily available in Agadir, but in Marrakech, it is restricted to hotels and nightclubs.